A CD of 16 great hymns right from the hymnal. 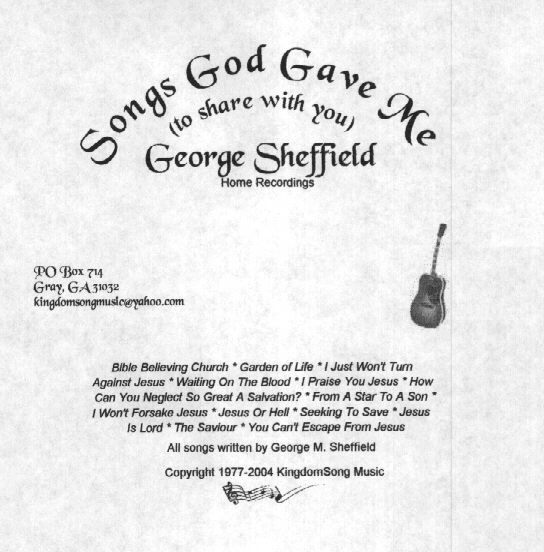 Copyright 2008 KingdomSong Music & Stuffy Bear Records. Simple Home Demo Style Recordings. How Can You Neglect So Great A Salvation? Click on a song to listen.